In Nashville’s higher education community of more than a dozen colleges and universities, Vanderbilt University is considered the 800-pound gorilla in the room. It walks with a certain degree of humility, despite its standing, says Nicholas S. Zeppos, Vanderbilt Chancellor and chief executive for the past 11 years. “We’re only as good as our partner,” Zeppos said in a recent Tennessee Tribune interview about his hopes of working with Dr. Kevin Rome, Sr., the new President of Fisk University.” We’re (Vanderbilt) here to be a great partner,” said Chancellor Zeppos, citing decades of partnerships and engagement between the two schools teachers, students and administrators. “ Vanderbilt’s success and Fisk’s success go together,” Zeppos said. 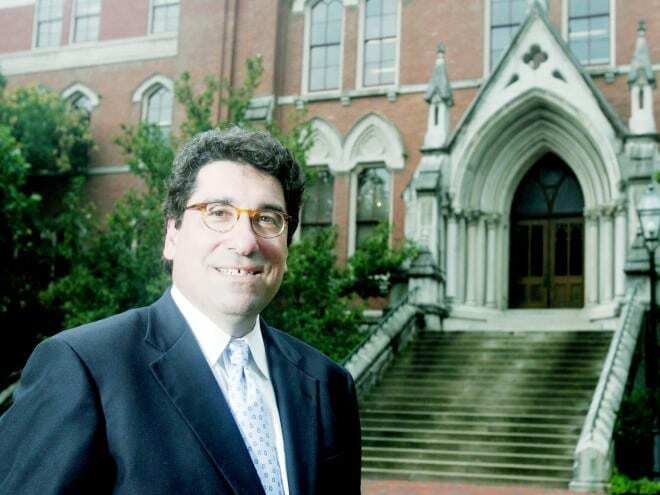 In the wide ranging interview, which can be seen on ‘Trending With The Tribune’, Zeppos, who joined Vanderbilt in the 1980’s as a law school teacher, said he today sees Fisk as a key member of a team of higher education institutions that are making Nashville look more and more attractive as a place to go to school, live and work. “We need to do all we can to say we want to partner,” said Zeppos. “We can do really great things together,” he said. “It’s really these educational institutions. We want to find really, meaningful and substantive ways to engage with other institutions,” Zeppos said. Zeppos said Vanderbilt has already had some “great success” in partnering with Fisk, as he ticked off a quick topic list of examples. The most recent example, he said, is a program aimed at providing education and development in astronomy for “under represented” people in that field of science. Zeppos touted opportunities for cross teaching and for research program internships at Vanderbilt and his medical and law schools “should be recruiting in our own back yard” (Fisk) prospects, adding “We feel really lucky,” to have such a pool of talented students nearby. Dr. Rome probably already has “a suggestion box that’s overflowing,” Zeppos said, if his experience and that of his peer chief executives is any example.